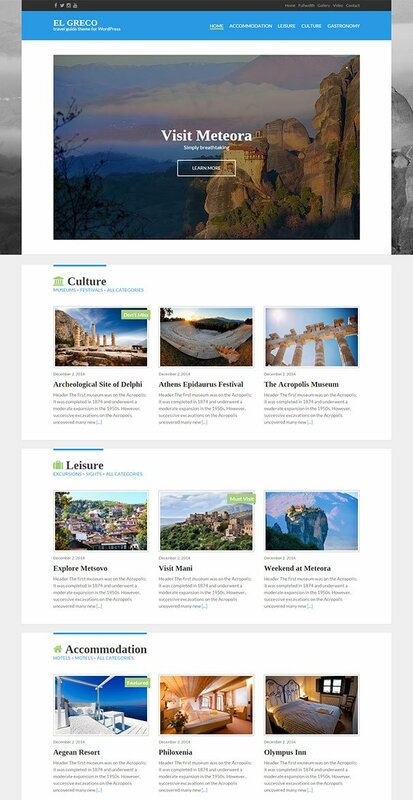 El Greco is a beautiful, elegantly simple, and deceitfully powerful travel blog or travel guide WordPress theme designed by CssIgniter. 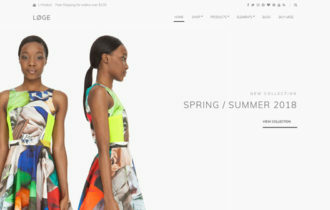 It able to transform your simple website into a work of art. Theme is perfect for travel guide, blog, culture, journalist, travel agency, holiday destinations, places and other culture website. Specifically crafted to share different stories, history, guideline or everything else with categories. El Greco WordPress Theme has fully responsive and retina ready design build with the power of Twitter Bootstrap framework. It displays perfectly in every device including android, iPhone, tablet and other smart devices. 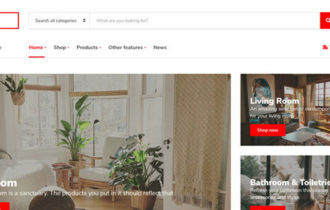 It features a clean, minimal design that lets your content and images stand out from crowd. El Greco WordPress Theme packed with the powerful theme options panel which let you to customize your website to your heart’s content! 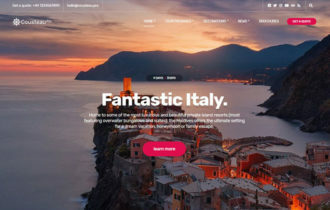 Additionally theme include amazing background and featured image slideshow on homepage to showcase beautiful destination places with custom call to action buttons. 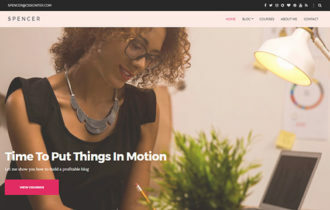 Theme integrate with features like built in accommodation page, sidebar ready, support custom widget, nice image gallery, 3 column footer layout, custom shortcodes and much more.